Kush Bottles, North America’s premier supplier of child-resistant packaging solutions for the marijuana industry, announced today that its CEO and Co-Founder, Nicholas Kovacevich, has been nominated for a 2015 Excellence in Entrepreneurship Award. The Excellence in Entrepreneurship Award is designed to recognize individuals who exemplify the American entrepreneurial spirit – individuals who, by their creativity and determination, have established and nurtured successful business ventures. The awards are an opportunity to highlight those who have distinguished themselves by their foresight, determination and accomplishments. Kush Bottles has experienced rapid growth, and since its inception just three years ago, the company has sold over 50 million units and has established themselves not only as a market leader, but also as a beacon for quality and dependability in their emerging industry. Former winners of the award include the founders of companies such as Fisker Automotive, Cardiac Science, EZ Lube, Ruby’s Restaurants, Yogurtland, and Opus Bank. For more information on Kush Bottles, call (888)-920-5874, or visit the website at: www.kushbottles.com. 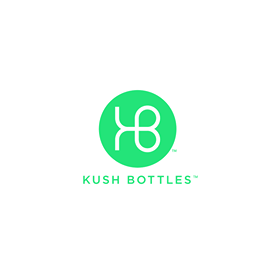 Kush Bottles is the leader in certified, customized packaging solutions, selling products in all 23 states that permit adult-use or medical marijuana, as well as in Canada. With over 50 million bottles sold, the company is well respected for their premium quality, exceptional customer service, quick deliveries, and innovative solutions.